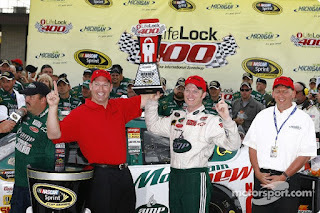 Dale Jr. broke his 76 race winless streak and won the Lifelock 400 today!!! 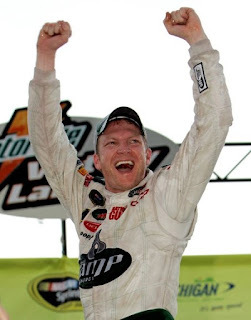 Jr Nation.....we all knew he could do it! It was the most amazing thing ever! He crossed the finish line on fumes. But he was first and that is all that counts! 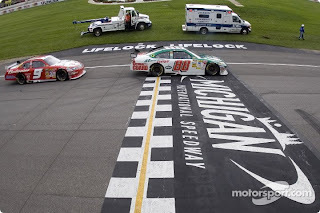 Jr radioed his crew to let them know he was out of gas as he won the race. They were more than happy to push him to Victory Lane! 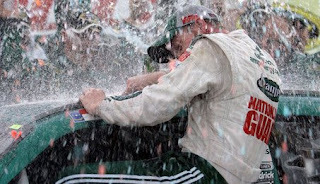 He was showered as he got out of the AMP #88! Look at how excited Jr is! And up close! Can anyone smile bigger? Look at how proud our driver is! 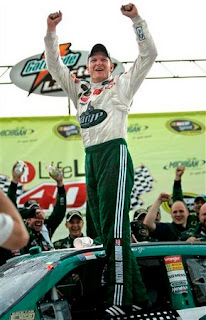 Congrats to Dale Jr. and the entire #88 crew!